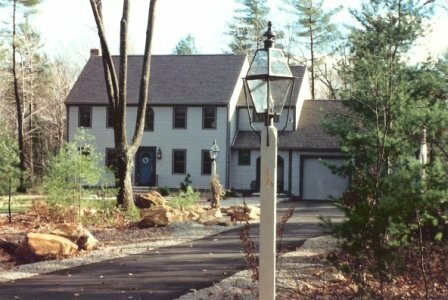 In the photo above see a pair of Colonial New England Style Copper Post Lanterns – Large Sturbridge Model P101 along a long driveway. This is a great illustration showing the importance of size and spacing in relation to the overall landscape design. 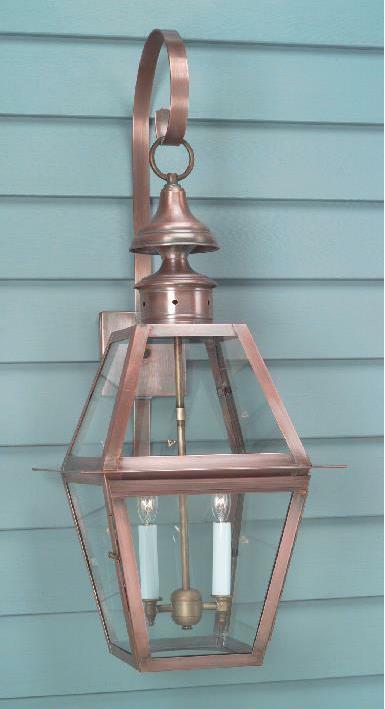 The Colonial New England Style Copper Post Lantern model Large Sturbridge P101 is a true classic! 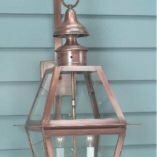 Above all, with its prominent size & black powder coated iron cradle this post mounted fixture creates a lasting impression. 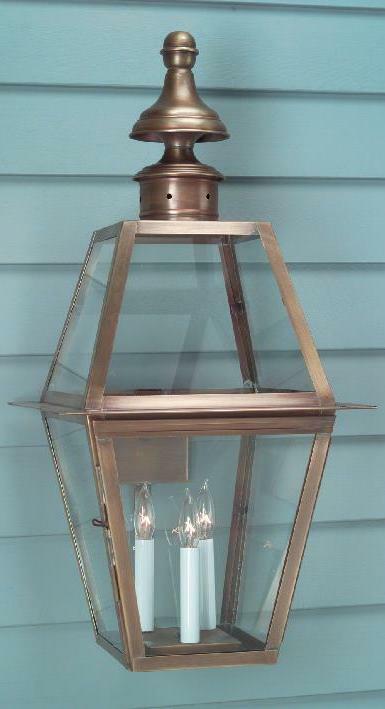 Of course Colonial Post Lanterns are an important decorative feature for your landscape design scheme. In addition, they provide the practical application of lighting your driveway or walkway. No matter what, correct placement and sizing are important factors to consider. Therefore, In order to properly illuminate sidewalks & driveways with the Large Sturbridge P101 you should place it about 3 feet away from the area to be lit. This is because post lights create a “dark spot” directly under and around the pole. The spot is roughly three feet in diameter. 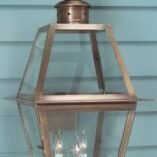 Consequently, placing the fixture too close to the walk doesn’t provide useful illumination. In addition to solid copper, we make the Large Sturbridge P101 in antique brass and custom verdigris or painted black finishes. 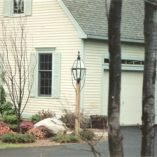 As always, the standard 3″ post mount fits any of the Colonial Style Light Poles perfectly. 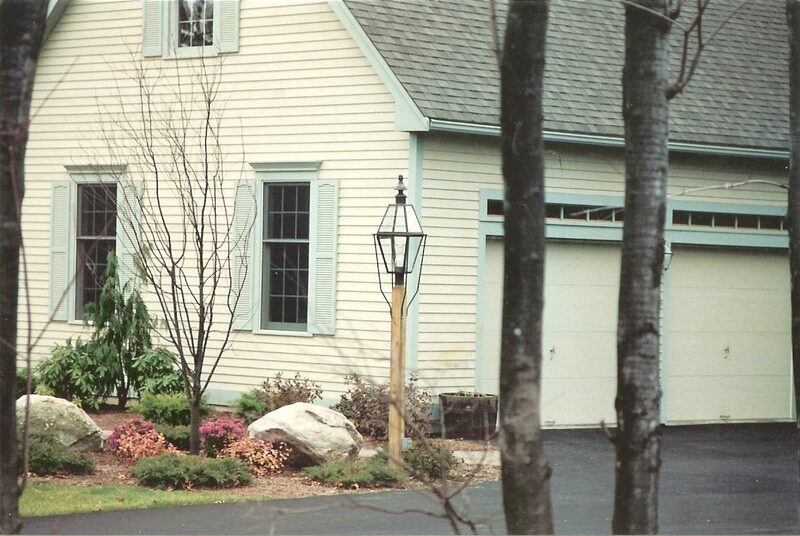 We also offer a variety of wall and hanging style lanterns to coordinate with this New England Style post lantern. 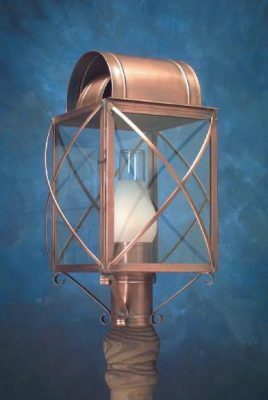 For example,Traditional Wall Lantern Sturbridge WM102 is a perfect match! 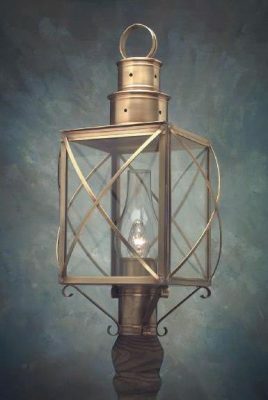 Likewise,Colonial Pendant Light: H112 is ideal. 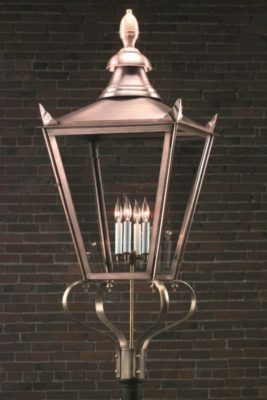 No matter what, we guarantee that choosing Lighting By Hammerworks insures that you are getting the best handmade lighting fixtures made in America.